This is our very first post! We are excited to be embarking on our first long term road trip in our motor home this winter. We have spent the last year or so thinking and dreaming about it. The idea started to form as we read lots of travel blogs by other RVers and we wanted to enjoy the life style and freedom that they were experiencing when we retired. It is our hope that this blog will inspire others to travel, camp and experience the great outdoors. We also hope this blog will serve as a journal for us and chronicle our travels. Snow birding in the beautiful Southwest! We plan to become “snowbirds” and leave our home in PA and enjoy exploring the southwest desert areas in Arizona, New Mexico, southern Utah and Colorado.We have been busy documenting places to see that others have suggested and putting those all down in Evernote. Now that we have put places on a map, we are determining what route we might take. We plan on being very flexible and taking time to smell the roses (and Cacti). 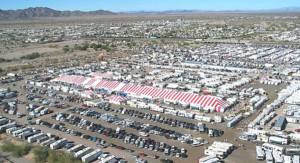 We will be starting our trip at The Quartzsite Sports, Vacation & RV Show. Quartzsite is something every RVer should experience once. 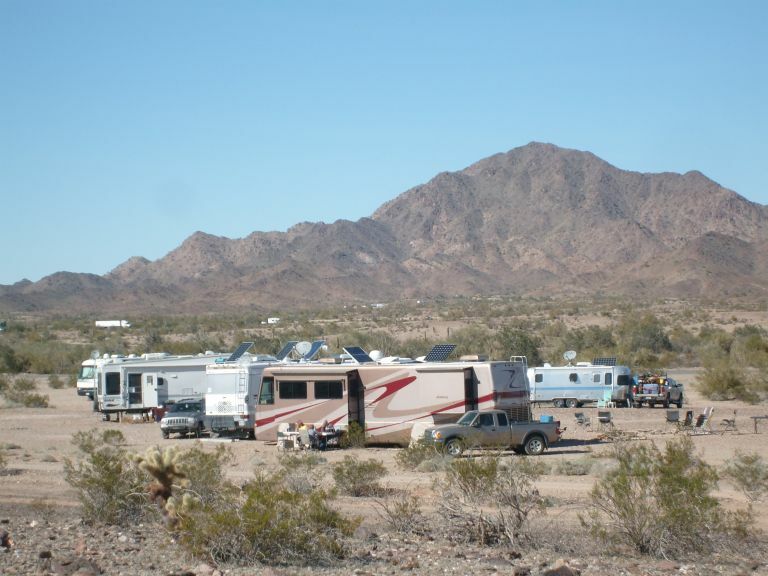 We have joined two RVing groups, RVing Women and Escapees. We plan on meeting up with them for some boondocking and get-togethers prior to the actual show which runs from Jan 21 – Jan 29, 2017. If you have been to Quartzsite and have any suggestions on places to visit in the area, please leave us a comment! This entry was posted in Getting Started and tagged Boondocking, Quartzsite. Bookmark the permalink. 4 Responses to Hello World, Welcome to Our Blog! Interesting post. Looking forward to hearing more about your adventures. Thanks, Susan. Glad to have you along. What an exciting time…grand kids are wonderful! We love ours so much! 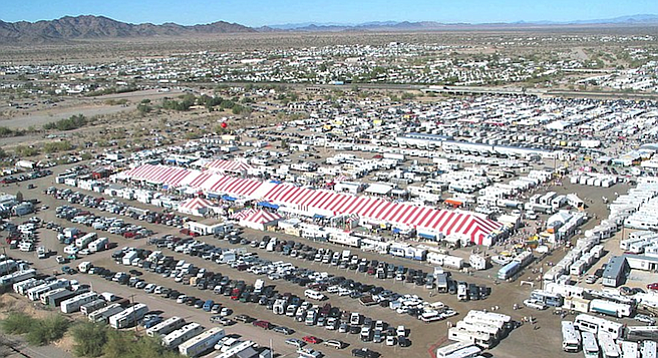 We had hoped to be able to go to Treasure Island this year, but the timing didn’t work out with wanting to go to Quartzsite as well. We just went live with the blog yesterday when we sent the email. We wanted to learn the ins and outs of writing and managing the blog before publishing. Glad to have you along!